Some weeks ago TheWorld.org uploaded an interview with Sudanese journalist Mai el Shoush. The subject was a female comic book character she’d created. The year before her debut as a comic book writer el Shoush had made a report on a comic book convention. There she saw many images and characters that seemed to be buxomy parodies of women rather than three dimensional creations of flesh and blood. 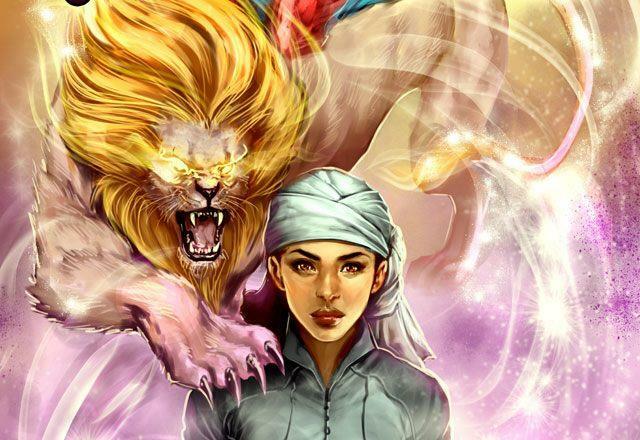 El Shoush named the protagonist of her comic book Rayan Lawsonia, Rayan being one of the gates of heaven, Lawsonia part of the scientific name of the Henna plant. While its good to have more voices from the Silk Rope countries entering the comic book scene, there are already a few great examples of artists who’ve dealt with the representation of (Middle-Eastern) women in comic books. A personal favorite is the character of Dodola in the epic graphic novel Habibi. In the epic story of Habibi the female protagonist not only deals with all major themes of great works of art; love, death, betrayal, sexuality, etc. She does so by entering a whirlwind of a journey, experiencing the world and the narration as a child that learns to read, a concubine, a prostitue, a she-devil, a mother, a lover. Another more recent character is Minoo, the protagonist of Persia Blues. Iranian American writer Dara Naraghi has her fight personal modern day battles as a woman in contemporary Iran, as well as fictional ones in a sword and sorcery fantasy world. But of course the most famous, almost iconic, female protagonist of the graphic novel industry is little Marjane. 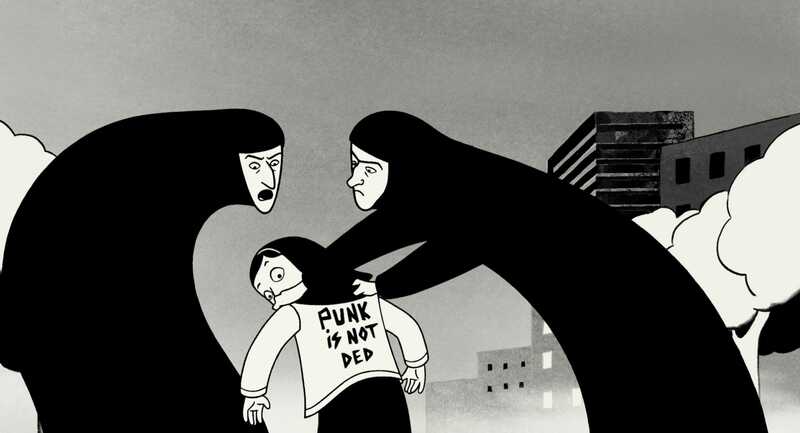 Marjane Satrapi‘s autobiographical book has taught a generation of readers (and movie watchers, since its brilliant screen adaptation) about the recent history of Iran, all through the eyes of a little girl growing up in troubled times.